Katie Henry is a New York-based author and playwright. She grew up in Berkeley, California, a city with good weather, great food, and passionate politics. In addition to novels, Katie writes plays for young audiences and received her BFA in Dramatic Writing from NYU’s Tisch School of the Arts. 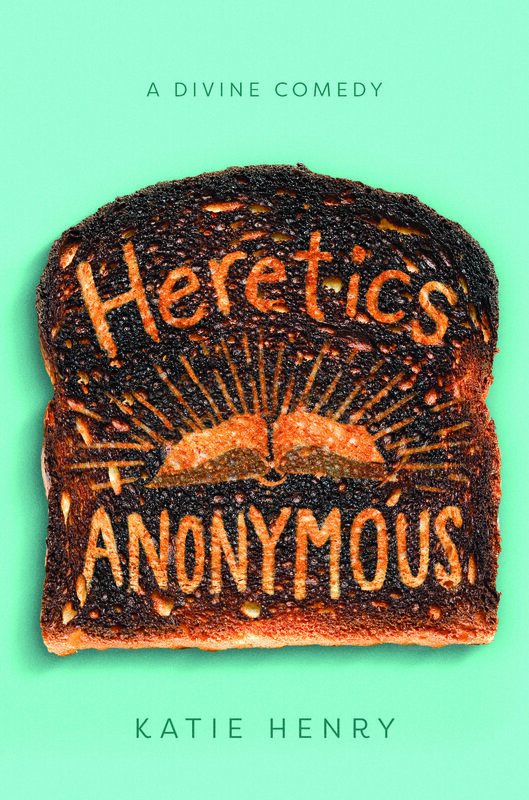 I wrote HERETICS ANONYMOUS in an attempt to figure out what religion meant to me. How I could be a maybe-believer in something that was alternately so beautiful and so hurtful. How I could fit the person I'd be born as into an institutionally hostile space. How to make change inside a religion and out of it. Nothing you write is wasted. Every single half-finished story, book outline that goes nowhere, anything written in a different medium, it all counts. Every single thing you write makes you better, regardless of what it is, what you do with it, or whether it’s “successful.” My background is in playwriting, not fiction, and while switching mediums was full of new challenges (why do I have to describe a room? The set designer can take care of that!) everything I’d written before this book—good plays, bad plays, some really bad plays—helped prepare me for that challenge. On that note—never delete anything. You never know when you’ll want to resurrect an old line. Sadly, I don't have any pets. 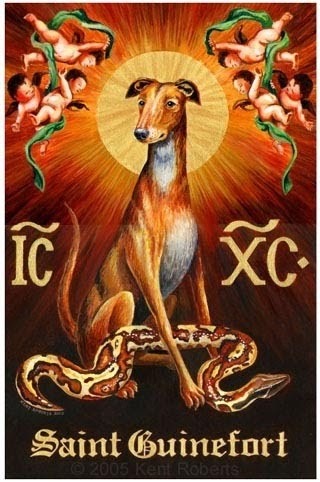 But I like to think my spiritual writing sidekick is St. Guinefort, the 13th century French dog venerated as a folk saint despite the strenuous objections of the Catholic Church. As a person with an almost comically long list of fears (including fire, cockroaches, and the theological concept of predestination), “fearless” can’t simply mean “without fear.” For me, being fearless is continuing onward despite fear, owning the fear, and probably making lots of self-deprecating jokes about the fear. To describe myself as a teenager, I'm going to tell three stories. Story #1: When I was thirteen, my math teacher got so frustrated with our class she threw up her arms and asked (obviously rhetorically), "When did you all stop listening to me?!" It was March. I was a nightmare. Story #2: When I was sixteen, I was a teen editor for The Best American Nonrequired Reading and had to write my first personal bio. In it, I described myself as a proud member of the SPCA—the Society for the Prevention of Comma Abuse. I genuinely thought this was funny. It was not. Story #3: When I was seventeen, an alumni interviewer from Penn asked me to describe myself in five words. I stared at him for ten silent, uninterrupted seconds before saying, with the approximate tonal quality of a Criminal Minds serial killer: "I'm...intense." He did not ask any follow-up questions. I did not get into Penn. Too many things to list, though I once told my family that my three biggest fears were heights, death by drowning, and being more than ten miles away from the nearest hospital. We were on a five-day whitewater river rafting trip at the time. My fears aren’t going anywhere. And rather than pretend they don’t exist or aren’t valid, I do my best to reframe and live with them. Follow Katie on Twitter, Instagram, and Goodreads, or visit her website.